The global cPNB catheters market is prognosticated to gather pace in its growth due to high adoption in upper limb surgeries for effective pain management. Some of these surgeries that entail chronic post-operative pain include elbow replacements, rotator cuff repair, and total shoulder replacement. However, there could be greater adoption of cPNB catheters in low extremity surgeries because of the rising count of such procedures. The need for effective post-operative care for lowering the number of readmissions, avoiding postoperative nausea, ensuring faster mobilization, and reducing hospital stay is expected to cause a surge in the demand for CPNB catheters. Hospitals could be among leading end users of cPNB catheters. They are expected to hold a massive share of the global cPNB catheters market in the near future. With a view to deliver improved patient care, hospitals use technologically sophisticated medical devices such as cPNB catheters. In this regard, it could be said that the demand for cPNB catheters may increase in the coming years. Favorable reimbursement policies implemented for medical care in hospitals is prophesied to set the tone for valuable growth of the global cPNB catheters market. The uptake of cPNB catheters could also improve in ambulatory surgical centers due to increase in healthcare spending, especially in developed economies. Increasing number of day-care surgery centers and rising incidence of lifestyle-related diseases such as orthopedic ailments and diabetes are foreseen to augment the demand in the global cPNB catheters market. Pediatric patients and adults with acute postsurgical pain receive cPNB at a higher rate as recommended by the European Society of Regional Anesthesia and Pain Therapy (ESRA). High focus on the development of technologically advanced products could be commonly observed in the global cPNB catheters market. Players may also focus on additional promotional activities and strategic alliances for gaining a strong foothold in the global cPNB catheters market. The demand within the global market for continuous peripheral nerve block (cPNB) catheters has been increasing on account of several changes and advancements in the healthcare and medical fraternities. Orthopaedic procedures have become a necessity in the healthcare industry due to the voluminous amount of patients suffering from bone injuries or other forms of deformities. Hence, it is safe to estimate that the market for continuous peripheral nerve block catheters would expand at a robust rate over the years to come. The central nervous system is the power house of the body’s physical and mental abilities, and even the slightest form of damage can have dire consequences for individuals. For this reason, the catheters for continuous peripheral nerve block are bought and installed with swiftness across the healthcare industry. The global market for continuous peripheral catheters can be segmented based on the following parameters: Insertion Technique, Indication Outlook, End-Use, and Geography. Each of these segments are vital to understand the overall status of the global market for continuous peripheral nerve block catheters. A report on the global market for continuous peripheral nerve block catheters focuses on the key dynamics that have brought the market to its current-day fettle. 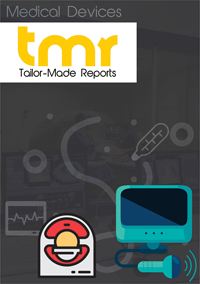 Furthermore, projectsion with regards to the growth of the global continuous peripheral nerve block catheters market have also been made in the report. Besides this, a geographical analysis of the global market has helped the researchers in ascertaining regional growth statistics for the market. The rising geriatric population is the most evident driver of demand within the global market for continuous peripheral nerve block catheters. These catheters come in handy during post operative procedures as the former help in reducing the pain and suffering of patients who have undergone invasive treatments. Furthermore, conventional anaesthesia techniques have taken a backseat due to the popularity of continuous peripheral nerve block catheters, which has in turn given an impetus to market growth. It is anticipated that the demand within the global market for peripheral nerve block catheters would increase at a boisterous rate on account of the rising number of surgeries and invasive treatments. Joint replacement surgeries have gained popularity across the globe majorly due to the elevating standards of the surgical field within healthcare. This has directly influenced the growth of the global market for continuous peripheral nerve block catheters. However, the market for continuous peripheral nerve block catheters is restrained due to the instances of failure of these catheters to give sufficient anaesthesia to the patients which in turn caused severe damages. The surgical sector within healthcare has been making rapid strides in the US and Canada, and this has given an impetus to the market for continuous peripheral nerve block across North America. Furthermore, a large population of orthopaedic patients travel to the US for complicated surgeries and invasive procedures as the healthcare fraternity in the region is much more advanced. Due to this reason, the demand within the regional market for continuous peripheral nerve block catheters has reached new heights. Some of the key players in the global market for peripheral nerve catheters are Teleflex, Vygon, and Halyard. These market players have earned commendable revenues through the manufacture of effective and durable catheters.